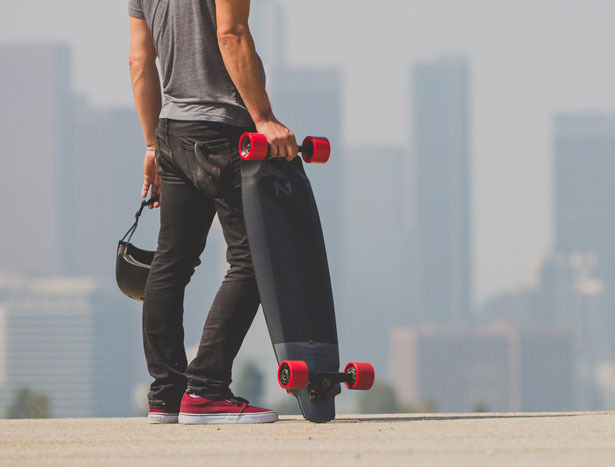 As the world’s first electric skateboard with swappable battery packs, M1 Electric Skateboard makes you free from worry about charging times or finding electrical outlets. 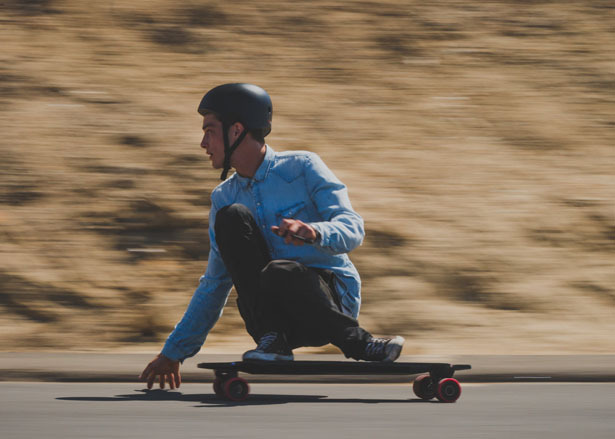 Not only this company transforms the way skateboard works, it also transforms how it feels. 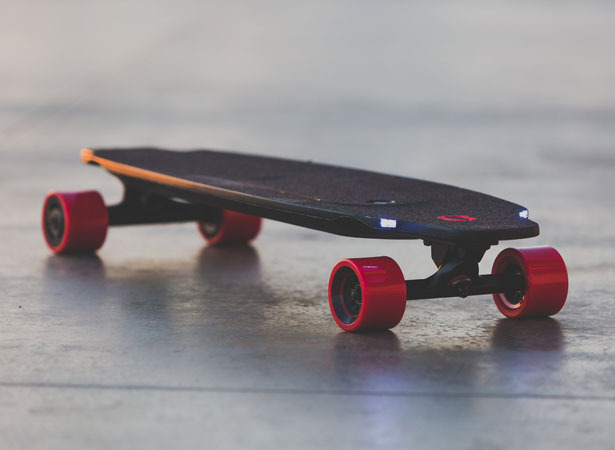 Combining in-wheel motors, LED lights, a swappable battery, this skateboard offers you a whole new personal ride. 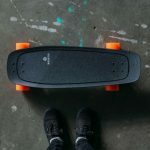 Inboard Technology teamed up with designers, engineers, and athletes in order to create and design a product that looks and feels like the traditional skateboard. 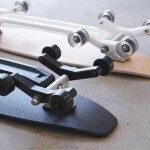 It uses patented Manta Drive, in-wheel direct drive, and motor assembly, this skateboard provides lightweight transportation technology that flows with you. 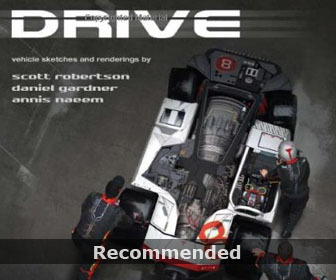 The motors are located in the wheels, starting from streamlined look to its feel under your food, every detail is based on the idea of uninhibited flow. 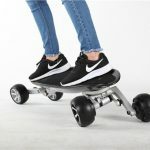 When you look at this skateboard, you won’t even notice that it’s an electric board, all you see is a traditional skateboard. 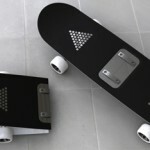 Those motors and batteries are not visible since they are located inside the deck and wheels, awesome, right? 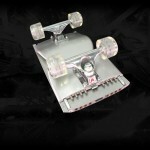 Talking about safety, this board comes with regenerative braking that allows for riding in control. 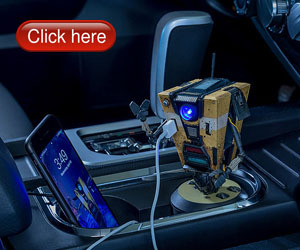 When braking, Manta Drive uses this extra energy to charge the battery. 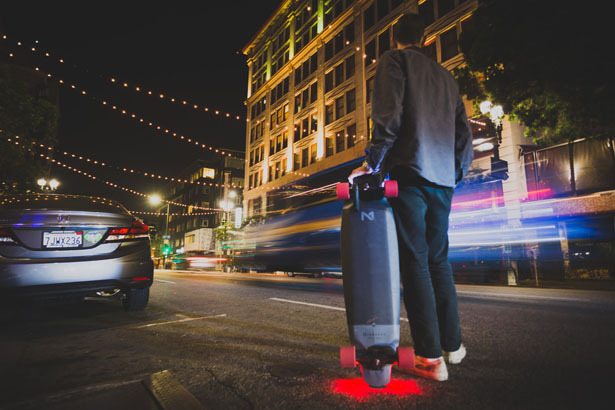 When you ride the board at night, you can take advantage of the lights on both nose and tail, to make you visible under low light environment. 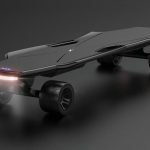 Tagged as all electric skateboard design, hidden motor electric skateboard, modern battery powered skateboard.